Astronomy is the study of the stars, planets, constellations, and everything pertaining to space and the sky. Many people are avid stargazers and really love seeing what it up in the sky that isn’t necessarily visible with the naked eye. The resources we have provided below cover everything from discussing what astronomy is all the way to social media groups that focus on this popular and interesting topic. Use this resource guide for finding some great sites on astronomy whether you are a teacher looking for lesson plan ideas, a student wanting to brush up on their knowledge, a college student looking for a career or you just love the stars and want the most from your experiences. If you have a fascination with the stars and planets then you love astronomy. The links below will give you some information and history on astronomy that makes a great foundation for those interested in this subject. What is Astronomy? Definition & History – Check out this link that provides interested readers in the history of astronomy along with some basic information about what astronomy is and what it involves. What is Astronomy – This website provides information on what astronomy is along with the different subfields that exist under the astronomy umbrella. The History of Astronomy – An interesting site and article about the history of astronomy complete with questions that you can answer. Did you know that there are different types of Astronomy? Learn all about the different branches from the links below. Outline of Astronomy –Wikipedia explains all of the different branches of astronomy and what each is. Branches of Astronomy – A link that gives you information about observation and theoretical astronomy and what each of them focuses on. Branches of Astronomy Flash Cards – Learn about the different branches of astronomy with these effective flash cards. The links below cover many basic aspects of astronomy and include some interesting and entertaining sites that will feed your love of astronomy. Astronomy Picture of the Day – Enjoy a new astronomy picture every day along with an excerpt from a professional astronomer on what the picture illustrates. Great for learning about astronomy visually, one photo at a time. Amazing Space – This incredible site has tons if information for the astronomy lover. You will find resources about everything from the solar system to black holes and everything in between. A site jam packed with interesting information. Space.com – This website provides plenty of articles, information, and insight into astronomy and what it is all about. The Astronomy Café – An interesting blog written by an astronomer who gives his personal opinion on space travel, space topics, and general science too. An interesting read for anyone interested in astronomy. Having the right equipment is very important to having a good experience when it comes to studying the stars and skygazing. The links below will help you understand the best equipment for this amazing hobby or interest. Astronomy Equipment Guide – An informative list of necessary astronomy equipment from Sea and Sky. Choosing Your Equipment — A Guide for Astronomers – Multiple articles that will help you choose the right equipment from telescopes to binoculars. Astronomy Gear Guide: Tools, Tips and Tricks to Stargaze Like a Boss – Space.com brings you tips and advice on the right equipment for your stargazing activities. Observing Tools – Learn all about the tools for observing and how to set them up for maximum viewing success and enjoyment. What to Bring for a Night of Stargazing: The Ultimate Guide – planning on spending a night or a weekend stargazing? You want to have everything you need and this article will ensure that you do. Celestron 70mm Travel Scope – A great telescope for stargazing and astronomy lovers. This telescope comes with an astronomy software download that offers 10,000 objects in its database, 75 images, and printable sky maps. Celestron SkyMaster Giant 15×70 Binoculars – These popular binoculars will take your stargazing to a whole new level. Kids are fascinated with the stars, planets, space, and the moon. The links below provide lots of fun resources that you can look at with your child as well as safely allow them to explore them on their own to learn more about this fascinating subject. NASA Kid’s Club – If your child loves the stars and planets they will love the NASA Kid’s Club. Star Child – A learning center for young astronomers – This fun learning center is geared toward young astronomers ages 5-13 and teaches them all about the universe beyond the stars, the Milky Way and the solar system too. Interactive and fun for all kids. Astronomy for Kids from Astronomy.com – Astronomy.com is one of the most popular sites for astronomy on the internet. Their astronomy for kids section provides plenty of opportunities for kids to learn all about the stars, space, planets and much more. Science Kids – Science Kids provides plenty of fun opportunities to learn about Astronomy along with other interesting science topics. The site uses games, quizzes, and other engaging ways to foster a child’s interest in astronomy. Kids Astronomy – A fun site for kids that teaches them about astronomy through fun games, videos, music, and much more. If your child is interested in astronomy, this is a site to show them. Ducksters – This colorful fun site has tons of astronomy topics for your kids to check out including the solar system, constellations, a glossary of astronomy terms and much more. There are tons of resources online for the study of astronomy. The links below will provide many different kinds of teaching resources so you can learn about this amazing subject in a fun way that will help people of all ages retain what they learn. National Science Foundation – The NSF provides this informative list of classroom resources for teaching astronomy. The Sourcebook for Teaching Science – These resources for teaching astronomy provide teachers with all kinds of material to make learning interesting and engaging. Teachers pay Teachers – a collection of freebies and other resources you can purchase to help round out a good astronomy program. Best Astronomy Apps and Websites for Students – A great collection of phone apps and websites for students on astronomy. Includes resources for kids of all ages, teens, and adults. Astronomy Resources for Teachers – Edutopia brings teachers and parents this collection of astronomy resources that will be a great addition to any lesson plan or curriculum. If your interest in astronomy goes beyond hobby and you want to find out what it takes to become an astronomer take a look at the links below that will provide a lot of great information. Astronomer: Job Info & Career Requirements – Information about a career in astronomy including the skills required, job descriptions, salary outlook and more from study.com. How to become an Astronomer – The National Schools Observatory provides information on the qualifications you need to become an astronomer. How to Become an Astronomer– Wiki How breaks down the requirements on how to become an astronomer into 15 steps that tell you what you need to know. National Optical Astronomy Observatory – a great article full of information on what needs to be done to become an astronomer. Ask an Astronomer – Want to know if astronomy is the career for you? Here is some information that will provide you with some questions that you can ask current astronomers to see if this is the field you want to pursue. A collection of forums and clubs for astronomy lovers who would like to connect with other like-minded people. Astronomy Connect –an active forum that has threads for beginners and experienced stargazers to come together and discuss their interest in astronomy, ask questions, and enjoy learning. Amateur Astronomers Association – a forum for members of the Amateur Astronomers Association. Astronomy Clubs Near Me and Organizations – a great resource for finding astronomy clubs in your area. If you are like most people you spend a lot of time on Facebook. Did you know that there are plenty of Facebook groups for astronomy lovers? We have listed the links to these groups below. All of the groups we listed are active and have new posts daily. 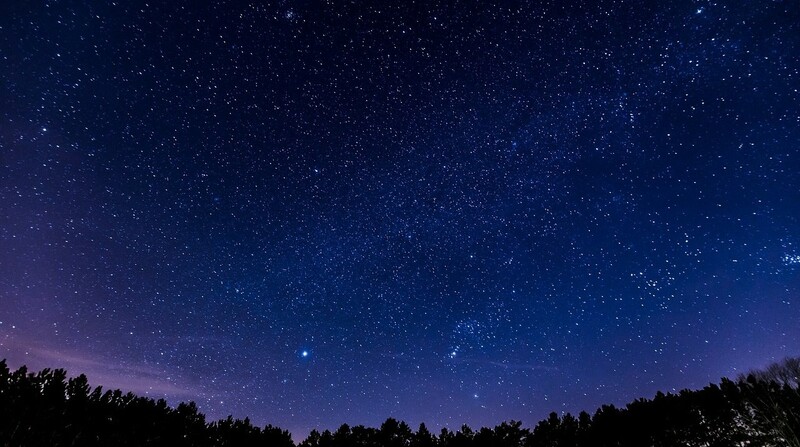 One enjoyable and fascinating activity is learning the different constellations that are in the night sky and pointing them out as you look up into the sky. Below we have provided several links that list the different constellations that you can look for. The Constellations and their Stars – A collection of links that provide information on constellations, the Milky Way, stars and other astronomy topics. Constellation Guide – A great offering by StarDate that teaches what the different constellations are and how to identify them in the sky. Pictures too! There are several online magazines for astronomy that you might find interesting. The links to these popular online publications are below. Some of these online magazines may have a subscription cost. StarDate Online Magazine – An online magazine that offers 6 issues each year along with the Sky Almanac that is released in January. This interesting magazine features skywatching info, astronomy news and much more. Astronomy Now – This UK online magazine offers subscriptions, an ‘ask now’ feature that allows people to ask space or astronomy questions, and much more. Astronomy Magazine – This colorful, fascinating online magazine features plenty of astronomy topics that will keep budding astronomers interested every month including beautiful photography, observation tips, reviews on telescopes and much more.